1. Join Photomyne (subscribe). Read how here. 2. 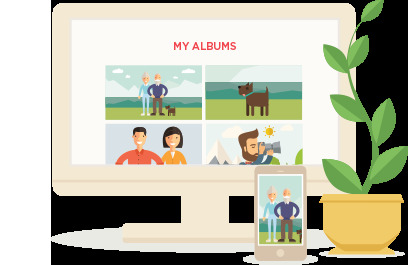 Once subscribed, the app will back up your photos - as a Photomyne member you will enjoy unlimited photo backup. This enables you to sync your account and photos to other iOS and Android devices (including online). 3. Install the same Photo Scanner app by Photomyne on other devices: For iOS devices: use the same Apple ID as you did for downloading Photomyne the first time. If you're using the paid Photo Scanner app, you don't need to purchase it again. It will appear in your App Store account's Purchased section. For Android devices: Download the Photo Scanner app on Google Play using the same Google account. 4. Once installed on another device, log in with the same account credentials and Photomyne will automatically upload all the photos and albums you created until this point. There you have it - a Photomyne account on multiple devices. Note: For best results, please avoid scanning or editing photos on more than one device at the same time. This means you should scan or edit photos on one device, then save your changes and only then log in on another device. 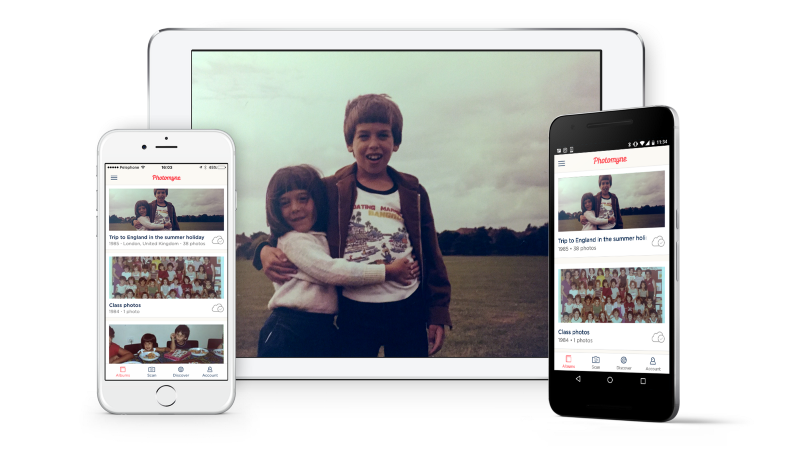 Psst... Did you know that as a Photomyne account member you can also access your photos online from any device? Here's how.